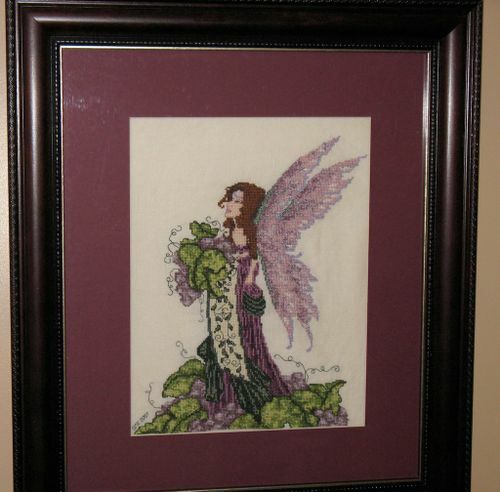 Enchanting Lair, stitched on 32 ct cream linen. My first time using silk thread, and it was so much fun. My husband kitted this up for me as a gift for our first Christmas together (married) and I finished it a few months later, in early 2006. The matting and framing is by me; we have this hanging over our wine rack.